A healthy variation of a classic favourite. 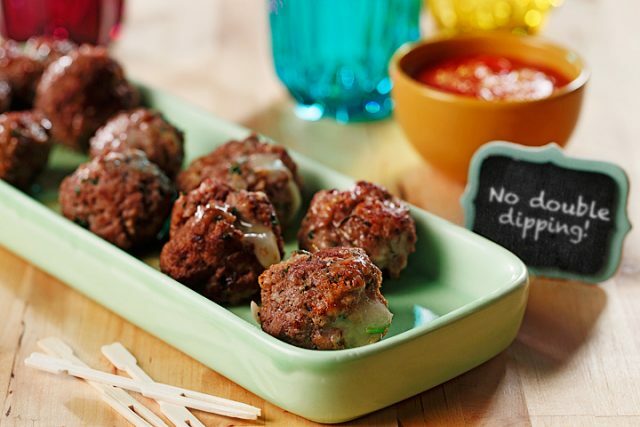 Make your meatballs healthier by using ground turkey and heart healthy canola oil. Serve with our savoury low sodium, basil infussed tomato sauce and whole wheat pasta. Save your leftovers for lunch the next day. This is a Heart and Stroke Foundation of Manitoba approved recipe. In a large bowl, combine ground turkey, bread crumbs, parsley, wheat germ, onion, garlic, egg white, and pepper. Roll turkey mixture into 1 inch (2.5 cm) balls. In a large non-stick skillet, heat canola oil over medium high heat, and cook meatballs for about 10 to 15 minutes, turning occasionally until nicely browned and cooked through. Set aside. In a large saucepan, heat canola oil over medium high heat. Add onions and cook 4 to 5 minutes, until softened. Stir in garlic and cook 1 more minute. Add broth, tomatoes, parsley, basil, and bring to a simmer. Cook sauce about 35 minutes, stirring occasionally, until sauce has thickened slightly. Meanwhile, cook spaghetti in a large amount of boiling water until just tender; drain. Stir cooked meatballs into thickened sauce and heat through. 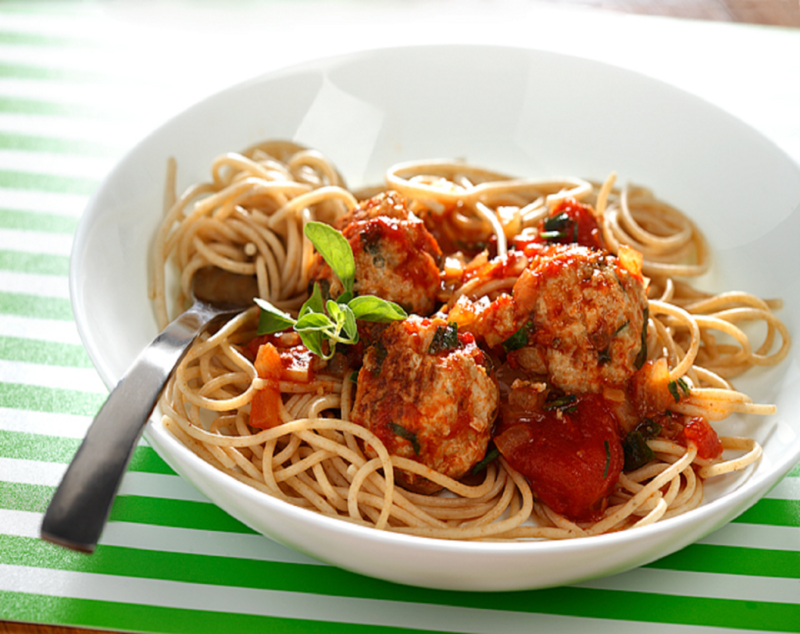 Serve turkey meatballs in tomato sauce over cooked whole wheat spaghetti.